“The sixth installation of Label Love comes at a time in music where genres are cross-pollinating more than ever. Presented by veteran electronic soul label, Tru Thoughts, and delicately curated by the imprint’s US-label manager Jasmine De La Paz, Label Love Vol. 6 showcases 13 free tracks from 9 labels around the world. With each label showcasing a unique and signature sound vibration, the cohesive compilation unites genre-bending tunes in a palatable and striking fashion pulling together nostalgic classics, unreleased gems, and exclusive selections with the goal of expanding minds to new musical styles. 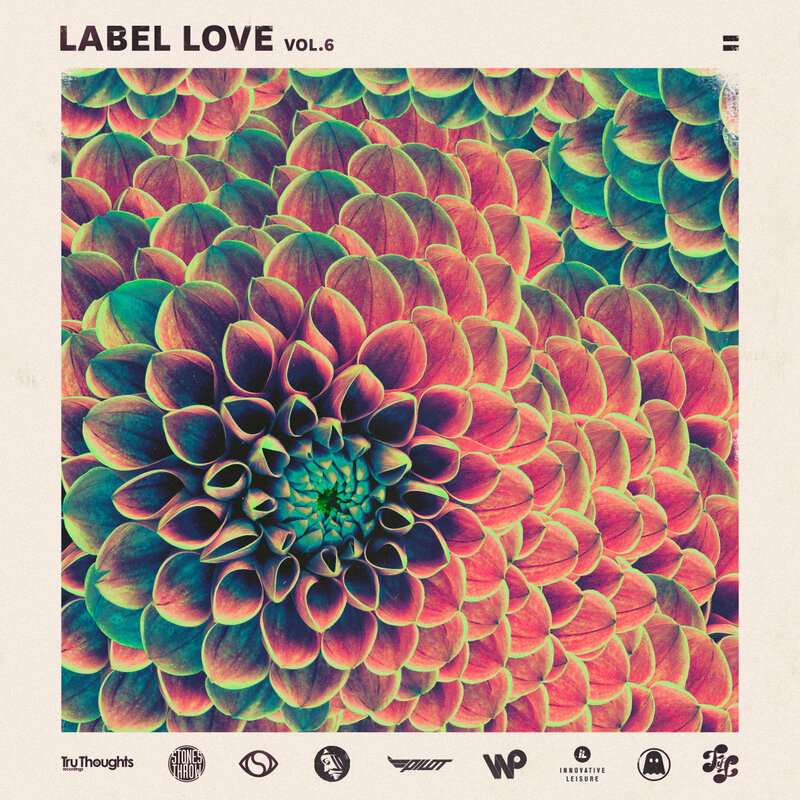 Label Love is an eclectic yet unified bundle of unique sounds compiled simply for the love of sharing them with the universe – each track plucked and presented by label heads from Friends Of Friends, Ghostly International, Innovative Leisure, Pilot Records, Project: Mooncircle, Soulection, Stones Throw, Tru Thoughts and Wax Poetics. Exclusive and unreleased tunes come from Lost Midas, Superhumanoids, Submerse, KRTS, Peshay and Ambassadeurs as well as first time giveaways from Dpat, Shigeto, Adrian Younge and Kyson will be available.